Jerry Hamilton graduated from Arvada West High School in Arvada, CO, in 1977. He attended the University of Colorado in Boulder graduating in 1982 with a Business Marketing degree. He lettered in baseball and football at the University of Colorado becoming an All Big Eight Academic Football Team Selection in 1981. Jerry worked as a Sales Executive for CF Airfreight in Sacramento, CA in 1983. He later moved back to Denver where he worked for Day, Webb & Taylor Insurance as VP of Operations and Agency Owner. The Agency was sold in 1991 to Van Gilder Insurance where he worked as a Vice President-Account Executive in the large commercial accounts division. Jerry then joined Home Loan and Investment Company in 1998 where he continues to work as the General Sales Manager/Corporate Secretary and minority owner. Jerry has served as Board President and Board Member for the Museum of Western Colorado (2001-2005, 2013-Present); member of the Mesa State Athletic Council (2004-2006); Family Health West Governing Board (2005-2008, 2013-2015); Family Health West Foundation Board (2016-Present) and has been a member of the Grand Junction Rotary Club since 1999. He enjoys spending time with his family, wife Kelli, daughter Lindsay and son Taylor. "That people seem to like working here which makes me like working here as well!" To stay connected with Jerry, click here to go to his LinkedIn Profile. Jamie started his insurance career in 1982, earning designations of AAI, ARM and CPCU. He has also served as President of the Independent Agents of Western Colorado, on the Board of Directors of the Independent Agents of Colorado and received their Young Agent of the Year award in 1988. Jamie’s agency is 120 years old with revenues of over $6,000,000. Jamie is active in many community ventures, including his role as Chairman of the NJCAA JUCO World Series. Jamie enjoys spending time with his wife Debbie of 36 years. They both enjoy frequent trips to Denver to visit daughter Sarah and son Dane and their families. Sarah and Dane both work in the insurance industry in the Denver area. "The great history of Home Loan here in Grand Junction makes this not only a great place to work, but it allows our associates to solve customers’ problems and make Western Colorado a great place to live." To stay connected with Jamie, click here to go to his LinkedIn Profile. Having worked for Home Loan for 25+ years, Matt brings invaluable knowledge and experience to the Home Loan staff. Matt was awarded the PIIAC (Professional Independent Insurance Agent of Colorado) Young Agent of the Year, and later became the President of PIIAC. Matt attended Colorado State University, Yavapai College, and Mesa State College, prior to being drafted to play professional baseball with the Kansas City Royals in 1982. He was traded to the Seattle Mariners in 1984, and then began his insurance career with Home Loan in 1987. Matt has worked in the community with various organizations and youth athletic programs including Crime Stoppers, Mesa County Junior Football Association, Grand Mesa Little League, Downtown Development Association and more. "The insurance business introduces producers to many different types of businesses. It is interesting to work on a diverse customer base. Home Loan has a lot of bright, young talent that will be exciting to work with over the next stage of my career." To stay connected with Matt, click here to go to his LinkedIn Profile. Dennis Derrieux is the Vice-President of Business Strategy and will work with Home Loan Insurance and our affiliate Home Loan State Bank for business development, implementation of special programs for the agency, risk analysis and management for customers, community relations and marketing. We are very fortunate to have his 25 years of insurance industry experience. Dennis worked for Home Loan as a Commercial Insurance Producer specializing in Workers’ Compensation from 1996 to 2006. He then went to Pinnacol Assurance and worked as an Agency Relationship Manager from 2006 to 2017 when he came back to Home Loan. Through the years, Dennis has gained a thorough knowledge of insurance market place conditions state wide and regionally. He was heavily involved in agency mergers and acquisitions, agency budgets, sales and production goals, and risk mitigation and management for overall books of business. Dennis received his Certified Insurance Counselor (CIC) designation in 2003. 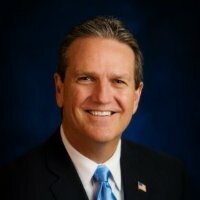 Dennis is a ‘91 Mesa State College graduate with a Bachelor’s of Science in Education. He stays very involved in the University as a board member of the Maverick Club and you will see him at most CMU functions today. Dennis is also involved with many groups in the community such as GJEP and the Grand Junction Regional Airport, Mesa County Partners, and youth sports organizations. If you would like to stay connected with Dennis, connect with him on LinkedIn! Darren Coltrinari joined the Home Loan team in 2006 as a Commercial Property and Casualty Account Executive. Darren currently holds the Construction Risk and Insurance Specialist (CRIS) designation and also handles construction surety. Darren’s initiative and understanding make for a combination that can be very beneficial for a company looking to manage their risk efficiently and effectively. Not only does he hold a construction specific designation—earned solely on advanced education and industry experience—Darren also currently services several HLIC clients in the health care industry, non-profit organizations, human services operations and more. The clientele he works with can range anywhere from international corporations with extreme complexity to local small businesses with their own sizable risks. Darren is very passionate about providing quality customer service to our clients, no matter the size and scope of their business. Coltrinari was born and raised in Grand Junction, CO, but left town to attend The University of New Mexico on a baseball scholarship for the Lobos. While at UNM Darren received a Bachelors in Business Administration. With his family here, Grand Junction was the town and Home Loan was the place where he wanted to start his career helping others protect their passions. Darren serves in our community in many capacities, but he is most involved in the Mesa County Crime Stoppers organization. As a past president, Darren still serves on the Board to help keep Mesa County safe. "What I like best about working at Home Loan Insurance is the team I get to work with. From the top down we have fun at work and go about our profession with relationships and a concern for the people we do business with." To stay connected with Darren, click here to go to his LinkedIn Profile! I joined the Home Loan Insurance Team as a Commercial Insurance Risk Partner in 2007. I provide commercial risk consulting and brokerage services to companies all over Colorado and throughout the nation for clients with multiple locations. Although I am based in the Grand Junction area, I make the time to frequently travel all over the Western Slope. My education and experience help me to plan and manage the risk of companies of all shapes and sizes. My goal is to help you identify risk, develop a risk transfer strategy, implement a program using nationally trusted insurance carriers and regularly monitor the results. I make sure to stay informed on industry changes and continuingly seek out risk and insurance education. I hold both an AAI Designation and CLCS Designation. I am ready to partner with you to manage your companies insurance needs. Aside from the work I do at Home Loan, I like to stay involved in my community and alma mater. I currently sit as the Vice President of the Maverick Club, a non-profit board that focuses on fundraising for the student-athletes at Colorado Mesa University. I serve on the praise team and guest relations for my Church. I love spending time with my beautiful wife, two amazing girls and our crazy yellow lab. To stay connected with Rich, click here to go to his LinkedIn Profile! Sean Rubalcaba joined the Home Loan team in 2017 as a Commercial Account Executive. Sean graduated from Colorado Mesa University in 2016 with a degree in Business Management. Sean was born and raised in Grand Junction, Colorado. He attended Grand Junction High School and received the Denver Post Gold Helmet for being the top student, scholar, and citizen in the state. Sean played college football for the University of Northern Colorado, and Colorado Mesa University. He is passionate about sports, and enjoys the outdoors. If you would like to stay connected with Sean, click here to go to his LinkedIn Profile. Ann has worked in the insurance industry for 25 years. She earned her Certified Insurance Counselor designation in 1991. This designation inspires her to learn more of the policy language and coverage every year. It was somewhat of a shock working for an agency vs working in underwriting for an insurance company. There is so much more to learn on the agency side of the industry. Ann enjoys hiking, knitting, reading and cooking. Spending time with her family is her favorite past time, especially since the birth of her first and second grandchild. "There is a great deal of pride that comes from working for one of the best agencies in Colorado. I was assigned to Home Loan to service and underwrite their customers for Reliance Insurance Company back in the 80's. Knowing Home Loan's reputation through the decades made coming to work for Home Loan an easy decision." Cindi is a Commercial Account Manager for Home Loan Insurance, working exclusively with Darren Coltrinari and his clients. Cindi can help with account details, changes and questions. She is very knowledgeable about the commercial insurance industry and is a great resource for our clients. Cindi is a proud Western Colorado native. Cindi graduated with a Bachelor of Science degree in General Biology from Fort Lewis College in Durango, CO but came to the valley after a while in the medical field. In the prior medical profession, Cindi began donating units of blood and continues to do so today with her total over 13 gallons donated! Cindi has volunteered her time and talent to different organizations through the years. Having daughters who attended Holy Family School, she worked on various fund raising events and was co-president for the PTO. As PTO co-president, she was on the School Board and helped coordinate all the fundraising events. Cindi was the Campaign Coordinator and facilitated successful Work Place Campaigns for United Way Pledge Drives. She started her career in personal lines insurance in 1999 and developed her knowledge and skills until 2005 when she started working in commercial lines. When an opportunity at Home Loan presented itself in the Commercial Lines department in July of 2012, Cindi joined the Home Loan team. "I love being part of a dynamic team and working for an organization who has such a large community presence." To stay connected with Cindi, click here to go to her LinkedIn Profile! Deb Winn has been an integral part of the Home Loan Insurance team for over 11 years now. Her 30 plus years of experience in the insurance industry and her high level of customer service has certainly helped Home Loan grow and retain customers over the years. Deb's risk management expertise is in the medical services industry. "The people are wonderful and the organization is focused on the best for the customer and the community"
Katie Sweet joined the Home Loan Insurance team in 2007 as a Commercial Service Representative. After a short time of working with the commercial accounts, Katie moved into managing the select account division. She loves getting to know her clients and takes special pride in taking care of each one of their individual needs. Katie was raised in Keenesburng, Colorado and moved to Grand Junction to attend Mesa State College where she earned a Bachelor Degree in Sport & Fitness Management. Every year in May when the Junior College World Series comes to Grand Junction, you will see Katie out and about fulfilling her duty as a JUCO Committee volunteer. Along with her passion for baseball, Katie is also a dedicated runner; she has participated in several charity 5k runs throughout the summer as well as helped with Girls On The Run non-profit organization. Katie now spends her free time being a "momma" to her daughter Averie. "I love who I work with and who I work for. It is a great place to be!" Renee is a Commercial Account Manager for Home Loan Insurance, working closely with Rich Englehart's clients. She can help with account changes, claims and can answer questions you have about your policy. Renee has worked in the insurance industry since 2003. Prior to coming to Home Loan Insurance, Renee worked for an agent for three years and went on to become the Regional Sales Manager Asst. for the western side of Colorado, giving her the opportunity to experience many other towns and the type of business that they have. Renee worked with local insurance agents and often trained agents and their staff in new programs, policies and procedures. Her experience and expertise is very helpful to our team as well as our clients. Renee is originally from a very small town in Wisconsin but when she turned 21, she moved to Texas with her parents who were in the horse business. She moved to Colorado in 2002 so her daughter could grow up near her grandparents that had moved to the Grand Valley. Renee's daughter Delaney is a student at Colorado Mesa University. What Renee likes best about working at Home Loan are all the clients she meets all over the State and the interesting variety of businesses they have. "I am very fortunate to be working for Home Loan with a wonderful group of people who love the work they do for our clients"
Diane Kane joined the Home Loan Insurance team in 2012, bringing over 25 years of insurance experience. Diane specializes in commercial property and casualty insurance as well as commercial bonds. Diane graduated from Colorado School of Mines with a Bachelor of Science degree in Chemical Engineering & Petroleum Refining. Diane was raised in Canon City, Colorado. While living in Leadville, Colo, Diane served as the Chamber of Commerce President, as a member of Lions Club, and participated on the Colorado Mountain College Advisory Committee. For the past 19 years, Diane has been raising her daughter and son, participating in sports, 4-H, and FFA. She loves the Western slope, and was thrilled to be able to move to the valley with her husband and two children back in 1996. In her free time, Diane enjoys camping, fishing, hunting, and horses. What Diane likes best about working at Home Loan: "It is a pleasure to come here every day and work beside some of the finest people in the industry. I’m proud that I’m a part of this organization." Sara joined the Home Loan team in early 2016 bringing over 13 years of insurance experience. Sara recently moved to the commercial insurance department. She is dedicated to providing excellent customer service and is quick to help customers with claims, changes to their policy or questions that they need answered. Sara was born and raised in Delta, Co before she moved to Grand Junction with her husband and two children. In her free time she enjoys spending time with her family, friends, and enjoying everything outdoors that is offered living here on the Western Slope. I love working for a company that truly cares about their employees and customers! Carma has been in the insurance industry for over 20 years. She started with State Farm Insurance. Over 17 years ago, she decided to move to an Independent Agency where she had more opportunities to service her clients. She chose to take a position at Home Loan because she knew that this was the best insurance agency in Western Colorado and would be the perfect fit for her personality and drive. Home Loan’s principles, work ethics and mission statement of being a dedicated community minded organization was right in line with what she was looking for. She will tell you that coming to work at Home Loan was the best business decision she has ever made. In her personal live, Carma has lived in the Grand Valley since 1976. She married her high school sweetheart and has 2 grown sons. Carma loves spending time with her family, her friends and her dogs. She is an active member in her church and loves to work with the young women’s program. She loves to help others and her passion is the Challenger baseball league that she has ran for over 16 yrs. This league is an adaptive baseball program for children with special needs. She is an avid baseball and football fan and enjoys cheering on her Bronco’s and Rockies. She has humbly been awarded the JUCO Homerun Alley Hero’s Award, the Kiwanis Citizen of the Year Award and the Lion’s Club Hometown Hero Award. "I like everything about working at Home Loan. The people, the organization, the structure, the opportunities, the culture all create the perfect place to strive in." To stay connected with Carma, click here to go to her LinkedIn Profile! Julie has been working in the insurance industry since 1998 and has been with Home Loan Insurance since 2005. As a Personal Insurance Agent for Home Loan, Julie currently specializes in helping individuals protect their personal assets. Our customers love Julie, as you can read on our testimonials page. Julie is a proud Mesa State College graduate that received her Associate of Science in Business Administration and Management. Julie loves to spend time with her family and friends. "I love the way Home Loan treats their customers and employees like family. Customer service is the number one priority!" "Julie S. has been helping my family with our insurance needs for years. After moving to Kansas for college several years ago, I was upset I would have to start using a different insurance company. Now that Home Loan is covering Kansas I'm so happy to be back working with her again. She is not only easy to work with, but extremely knowledgeable of the products her company offers. My husband and I are looking forward to working with Julie for many years to come!" Beverly Troester is a Health and Employee Benefits Consultant and has been a licensed agent with Home Loan & Investment Company since 1989. Beverly assists employers regarding analysis, implementation, management, and review of their employee benefits package. She also has her Professional in Human Resource Certification and is a member of the Society of Human Resource Management. 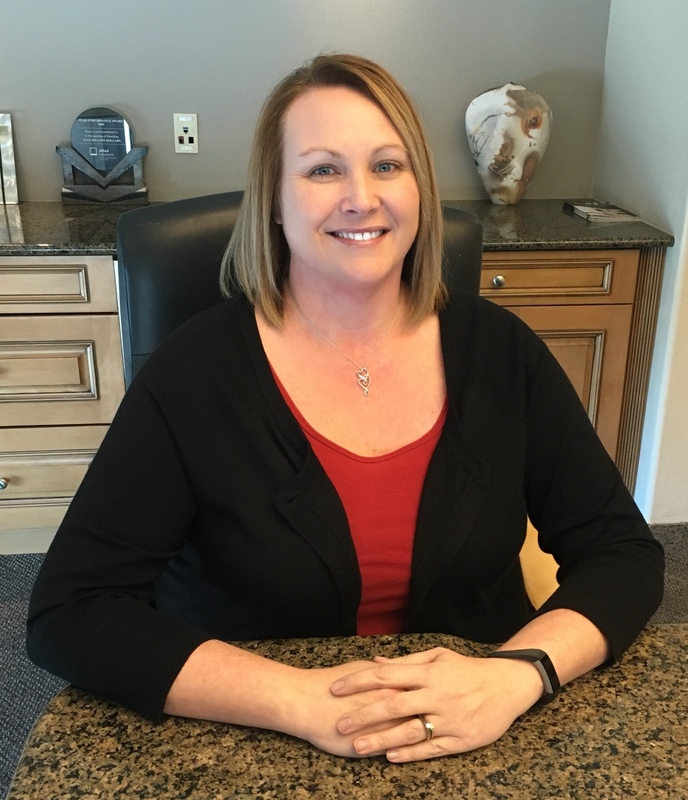 Beverly is a past president of the Western Colorado National Association of Insurance and Financial Advisors, served on the board of Western Colorado Association of Health Underwriters, and is an active member and past president of Kiwanis. To stay connected with Beverly, click here to visit her LinkedIn Profile! Kim is an Account Manager at Home Loan & Investment Company with more than 8 years of experience as a licensed health insurance agent. She specializes in health insurance and health care reform for individuals and small business groups. She believes employers and employees need to be fully equipped with the knowledge about health care reform so they are not caught off-guard with the significant changes occurring in 2014. Kim resides in Grand Junction, Colorado with her daughter, Paige. Kim enjoys the abundance of outdoor activities that the western slope has to offer. "The best part about working at Home Loan for me is the customer interaction. I appreciate the camaraderie and trust that my clients have placed in me." To stay connected to Kim, click here to go to her LinkedIn Profile! Diane joined Home Loan in 1985 and currently specializes in individual health and dental insurance, Medicare Supplement insurance, and small group benefits, including medical, dental, vision, life, disability and voluntary benefits. She is a Connect for Health Colorado Certified Producer. Prior to joining the Health and Benefits Division she specialized in claims and bonds. Diane has her Associate in Claims designation and is licensed for Accident and Health, Life, Casualty and Property insurance. Diane has two adult children. Her hobbies are reading and cooking. On weekends she likes to take her three dogs walking in various areas around the community. "I enjoy working with clients and helping find solutions for their needs." To stay connected with Diane, click here to go to her LinkedIn Profile! Brittany is an Account Manager at Home Loan & Investment Company with years of experience as a licensed health insurance agent. She specializes in benefits and health care reform for individuals and for small and large business groups. Brittany is up to date with the legislative changes in health care as well as tax credits. She assists employees, individuals, and employers with ancillary products, voluntary and supplemental benefits, as well as special risk insurance. Brittany has a long reputation in the medical field including billing and claims that helps her explain benefits from multiple views. Brittany was born and raised here in Grand Junction. She is engaged to her middle school sweetheart and they have a daughter together. Brittany enjoys hiking, fishing, running, traveling, and spending time with her family. Kitty was born and raised in Grand Junction, Colorado. She is a 1973 graduate of Central High School. In 1981, Kitty Herrera came to work at Home Loan as a file clerk, 32 years later, she continues working at Home Loan in the commercial dept. as an Insurance Assistant. Kitty is very active and supportive of her children and grandchildren. She spends as much time as possible following her grandchildren in their sports and school activities. "The relationships I have developed with employees and customers in the years of service at Home Loan. I could not ask for a more professional and successful company to be affiliated with." Wendy Jones is the Executive Assistant to our CEO Jamie Hamilton. She provides administrative support and assists with special projects for Jamie and other executives as needed. Wendy also helps coordinate end-of-year donations for Home Loan Insurance. Please contact her if you wish to submit a donation request. As our CEO Jamie Hamilton is Chairman of the NJCAA JUCO World Series, Wendy also provides administrative assistance to Jamie and the JUCO committee by coordinating meetings, tournament sponsorships, banquet planning and maintenance of historical records. Wendy is an alumn of Grand Junction High School, Mesa State College (now CMU) and Colorado State University. She has fond memories of skiing at Powderhorn Mountain Resort, lifeguarding at the old Moyer Pool & attending JUCO games while growing up in the valley. Wendy had prior careers in the mortgage business and the hotel/casino industry before coming to Home Loan in 2004. In her leisure time, she enjoys hanging out with family and friends and walking/hiking with her dog Gracie.